This book is set against the backdrop of the assassination of President John F. Kennedy in November of 1963. The plot centers on a cat and mouse game across America between rather shady men in the 1960s. One of them is Frank Guidry. Guidry works for a mob boss, and he knows everyone surrounding the boss is expendable. Just hours after President Kennedy’s murder, lots of people involved in the murder turn up dead. Guidry thinks he might be next. So Guidry heads to Las Vegas to see an old associate. This man happens to hates the mob boss, and he thinks that he might help Giudry escape the boss’s reach. He knows that the rule in his world is that when you’re running, you can’t stop. But then something happens that causes him to do just that. As he’s driving down the highway, he comes across a beautiful housewife who is stranded on the side of the road. She has a broken down car, two daughters and a dog. Frank Guidry suddenly sees her as a means to an end. With a woman and children driving with him, they might provide the disguise he needs. The hit men will be looking for a single man in a car, not a family. He tells the woman, Charlotte, that he is an insurance man. He offers to help her. He tells her that he knows someone in Las Vegas who can help her get another car. So she can continue driving to California to visit her aunt. Charlotte, a bored and frustrated housewife, had impulsively left home with her children. She too is on the run. She is running from a stifling existence in a small town in Oklahoma and an alcoholic husband. Another rule in the mob world, Guidry knows, is not to fall in love. But Guidry realizes that he just can’t throw away the woman he’s suddenly come to love. I really enjoyed this book and loved the characters. This author has a way of making his characters seem very real and multi faceted. He creates situations where there are two sides to every person’s story. There are good actors and there are bad actors. The people in this book have complex personalities and backgrounds. And I somehow felt sorry for all of them in one way or another. Sometimes we are a victim of circumstances. Sometimes we create those circumstances. It was interesting to see the transformation of a man who loves no one but himself suddenly find that he can actually love someone else. 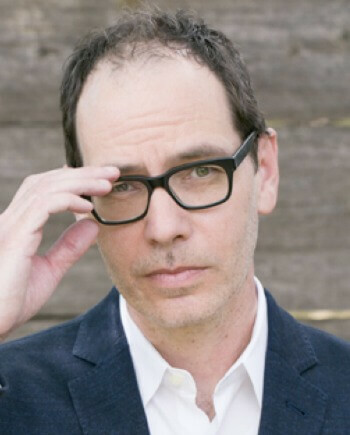 Lou Berney is the author of November Road, The Long and Faraway Gone (winner of the Edgar, Anthony, Barry, Macavity, and ALA awards), Whiplash River, and Gutshot Straight, all from William Morrow. He’s also written a collection of stories, The Road to Bobby Joe, and his short fiction has appeared in publications such as The New Yorker, Ploughshares, and the Pushcart Prize anthology. He teaches in the MFA program at Oklahoma City University. That is a book I will definitely look for. I am reading The Death of Mrs. Westaway now and enjoying it so far…a bit different than what I usually read. This sounds like a great read. I love anything set in the 50’s and 60’s. Happy New Week. We are having our first blizzard here in Illinois. Lots of snow falling. Glad to be home and not having to go anywhere.